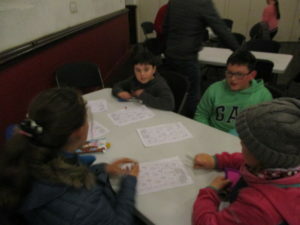 On November 26th we held a social event for the members of the school community. It was held in Red Hall and members of the church community also attended. 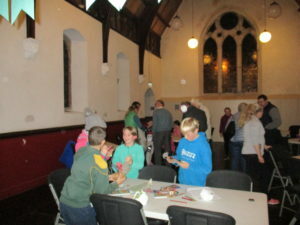 It was a lovely evening with young and older all getting involved. The aim of the game is to be the first player to draw a complete beetle. The body parts are each given a number: 1 for eyes, 2 for antenna, 3 for legs, 4 for wings, 5 for the head and 6 for the body. There were prizes for not only the winners but also those who just couldn’t get the dice to roll their way! We also had some beverages and yummy treats. Thank you to everyone who attended and to the B.O.M. members who helped with the event. It was very much appreciated and was a fun evening for all who came.